Hong Kong star Jordan Chan’s popularity in Mainland China has been on the rise recently. After appearing in the reality show ‘Where Are We Going, Dad’ with his 4-year old son Jasper, he has become a household name in China. He followed that up with the web series ‘OCTB’ (which stands for Organised Crime and Triad Bureau, a part of the Hong Kong Police Force), which has been attracting a huge number of hits. 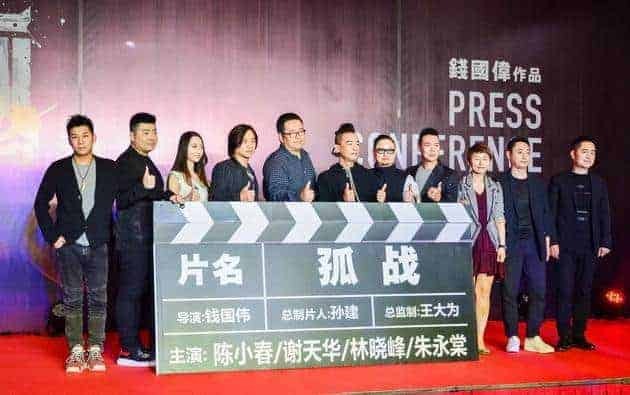 Chan’s next project will be a crime thriller titled ‘Lonely Battle’ (literal translation from its Chinese title) from director Wilson Chin, associate director of ‘The Mermaid’. In the film, Chan will team up with fellow actors Michael Tse (‘Turning Point’) and Jason Chu (‘The Storm Riders’). The trio started their careers as back-up dancers before together forming the musical group ‘Wind, Fire and Ocean’ and later achieving major fame through the ‘Young and Dangerous’ film series, in which Chan, Tse and Chu played the characters of Chicken Chiu, Dai Tin Yee and Chou Pan respectively. ‘Lonely Battle’ will commence shooting at the end of this year.